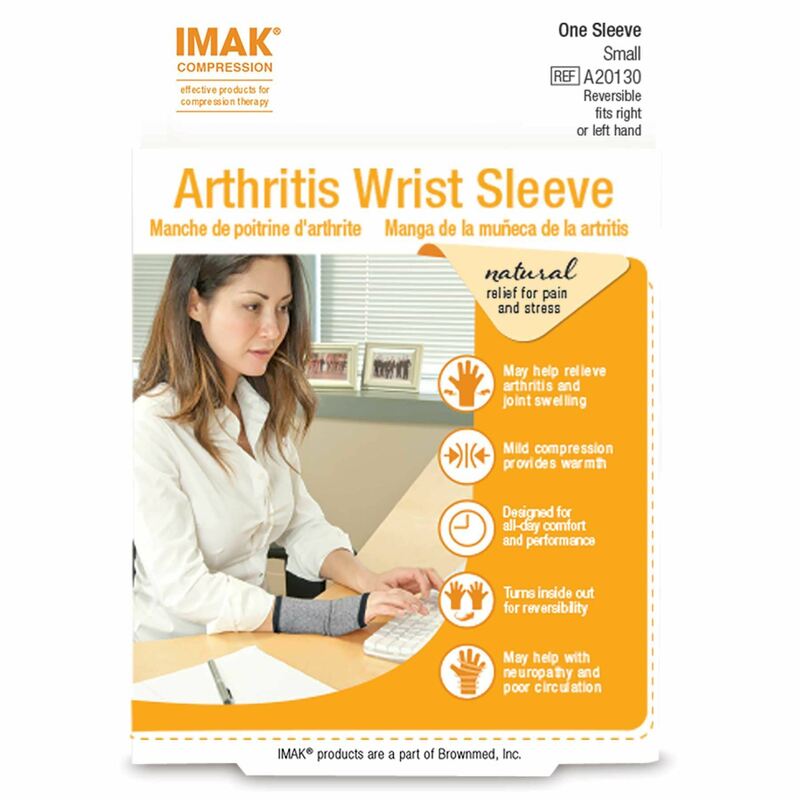 The IMAK Compression Arthritis Wrist Sleeve is for those who experience joint discomfort in the wrist and thumb. 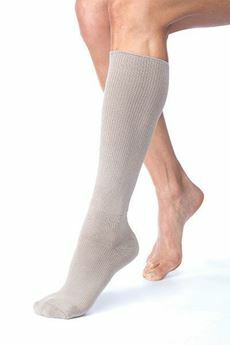 Mild compression provides warmth, which may relieve arthritis and joint swelling. 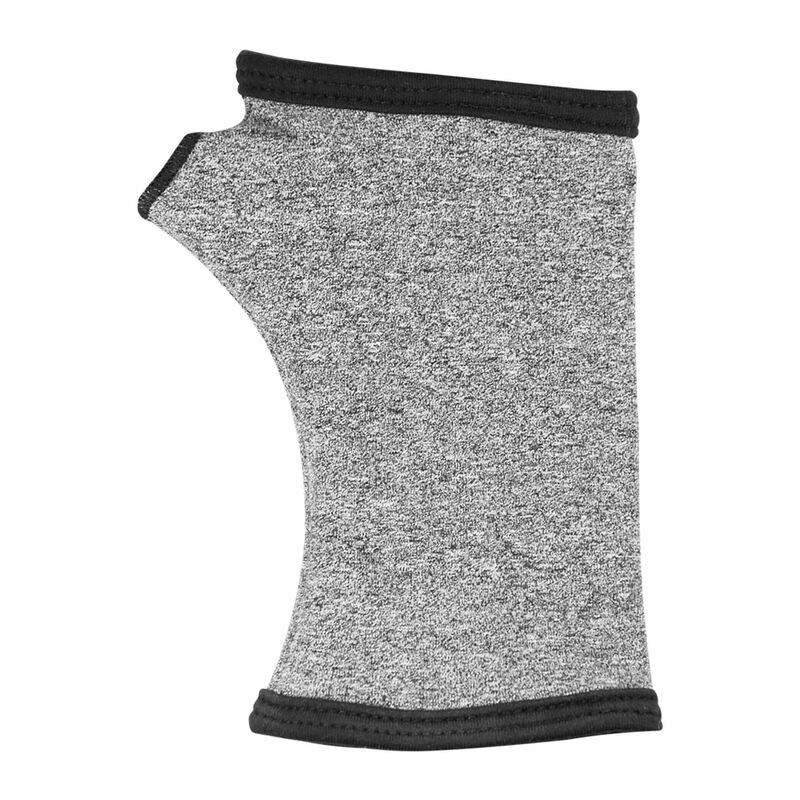 The Arthritis Wrist Sleeve is made of a soft, breathable cotton material that is comfortable enough to wear all day and maintains its elasticity over time. Turn inside out to fit either hand. 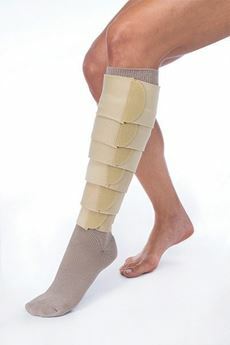 Package includes one sleeve. Measure width across knuckles for sizing.